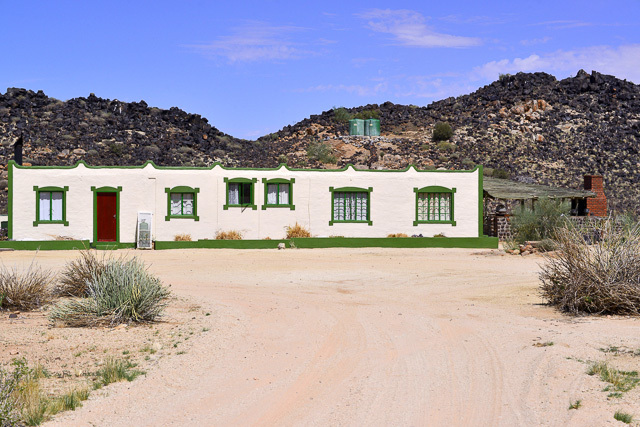 Canyon Mountain Camp is just 6km from the main Canyon Lodge, 8km from Canyon Village, 20km from the Canyon Roadhouse and 26km from the Fish River Canyon. This U-shaped camp is sprawled at the foot of picturesque hills. The camp is ideally suited for the more adventurous guest who would like to self-cater. There is a fully equipped communal kitchen with dining and lounge area as well as a shaded terrace where you can braai (barbecue/grill). Keys to the camp are to be collected at the Canyon Lodge reception. 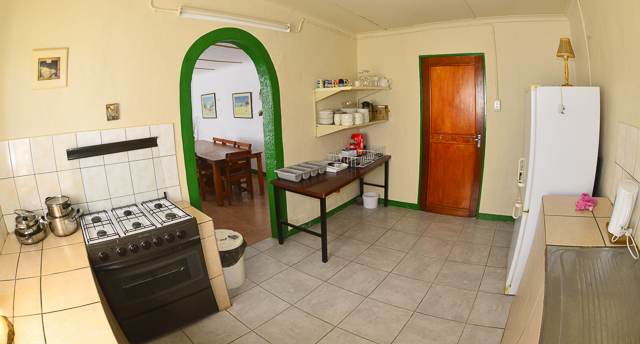 You would need to take your own food and drinks if you wish to do self-catering. You could also treat yourself to a meal at the Canyon Lodge or Canyon Village restaurants, but you would need to book for this at the lodge. 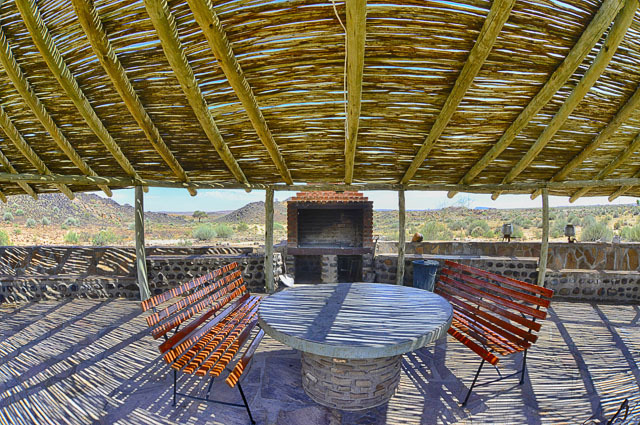 The braai area at the camp is most picturesque and faces the dolerite hills and provides fantastic views for guests at meal-times. 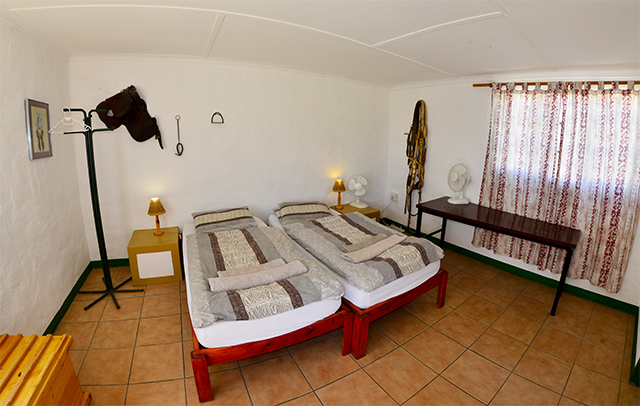 Eight comfortable rooms are simply decorated and face onto a courtyard with a farm theme; all the rooms have en suite bathrooms, shower, toilet and hand basin, twin beds and electric fan. 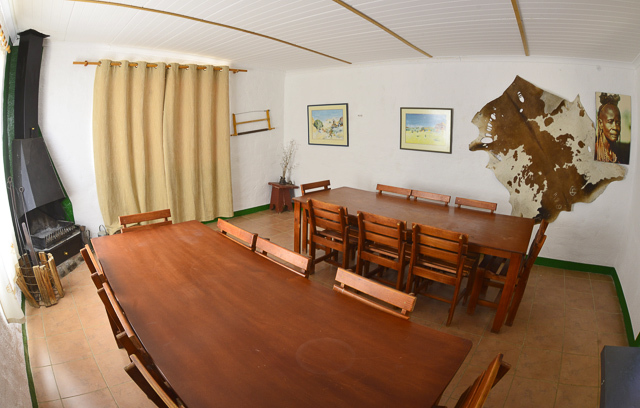 Each room is decorated with bits, bridles, saddles and other horse riding items. All the activities at the two sister lodges, Canyon Lodge and Canyon Village are on offer for the Mountain Camp guests. 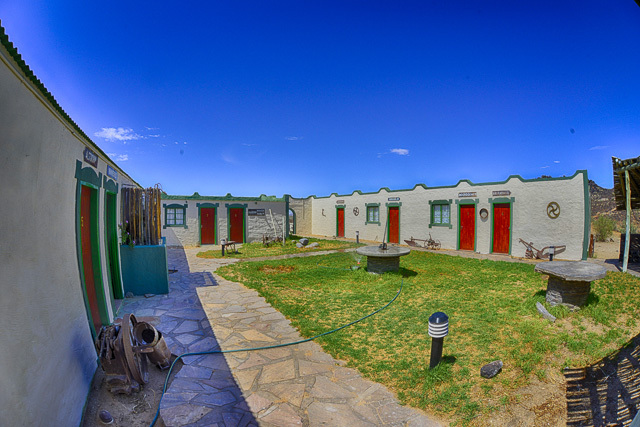 Hikers also like to spend the night at Mountain Camp either before or after their hiking tour through the Fish River Canyon. Guests at the Mountain Camp are entitled to use the swimming pool close to the lodge.